Summer officially came to an end in Australia on March 20, 2006. 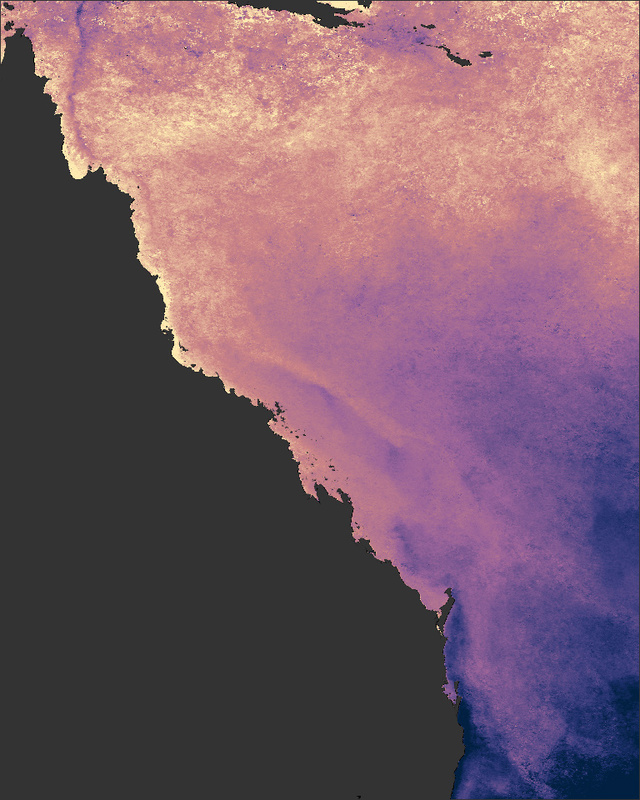 For northeastern Australia (Queensland and New South Wales), it was the hottest summer on record, according to the Australian Bureau of Meteorology, and that was bad news for Australia’s Great Barrier Reef. 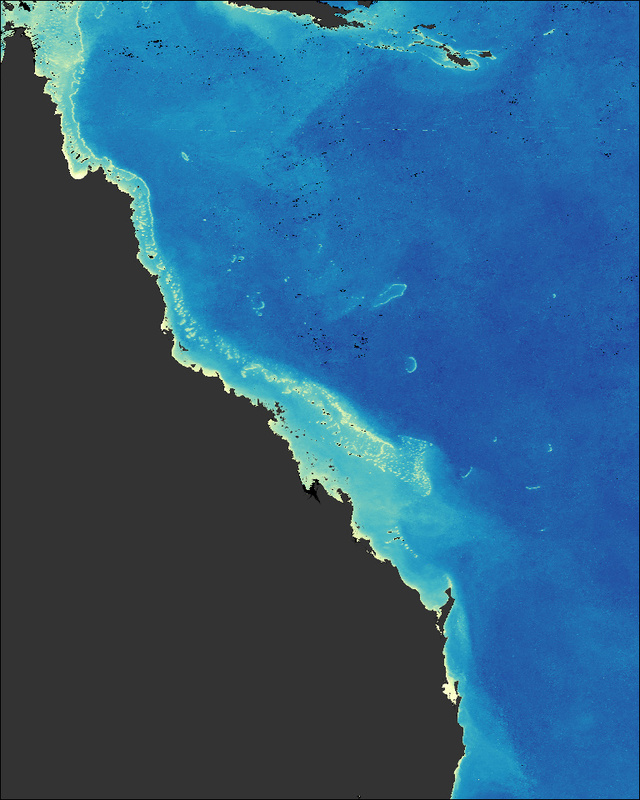 Up to 50 percent of coral bleached at certain inshore locations in the southern Great Barrier Reef. In general, hot water puts coral under stress. Under such conditions, the coral expels the tiny algae, zooxanthellae, that live in symbiosis with it. The algae give the coral its color and produce nutrients through photosynthesis, so when the algae are expelled, the coral turns white and eventually dies. The process is called coral bleaching.